The more you know about something, the more you can enjoy it. Opera has a rich and fascinating history and is also a vibrant art form that is continuing to grow today. Opera is a dramatic story told through song. It is considered by many to be the most complete art form, combining all of the elements of art, words, music, drama and dance. The earliest Italian operas were called several things, such as “favola in musica” (fable in music) and “dramma per musica” (drama by means of music). This last title is very close to the dictionary definition, and is the correct basis for any discussion about opera. The unique thing in opera is the use of music to convey an entire story/plot. This is based on the feeling that music can communicate people’s reactions and emotions better than words (read or spoken) or pictures. Opera takes any type of dramatic story and tries to make it more exciting and more believable with the help of music. Many famous stories have been made into operas, including Cinderella, Hansel and Gretel, and Romeo and Juliet. How Did Opera Get Started? The concept of opera was developing many years before the first opera was written. Its beginning can be traced to the ancient Greeks. They fused poetry and music, creating plays that incorporated song, spoken language and dance, accompanied by string or wind instruments. In the 1100s, the early Christian church set religious stories to music, a style known as liturgical drama. The first true opera, Daphne, was composed by Jacopo Peri (1561-1633). It told the story of a Greek myth. The first great composer of opera was Claudio Monteverdi (1567-1643). Some of his operas are still performed today. How is Opera Different Around the World? Italy was the first country where opera became popular. It was the homeland of Jacopo Peri and Claudio Monteverdi. In time, this exciting form of entertainment spread to the rest of Europe. France and Germany joined Italy as the principal opera producers. Eventually, opera came to reflect the stories and musical styles of each of these countries. The Italians have always been famous for their love of singing, and so in Italian opera there has always been great emphasis placed on the singer and the beautiful sounds of the human voice. It wasn’t until the late 19th century and early 20th century with the later works of Verdi and the operas of Puccini was a balance achieved between the role of the orchestra and that of the singer, and the combining of these two forces, to give a more effective presentation of the story. The French have favored the pictorial side of drama, and this has led to a continuing emphasis on the visual spectacle, especially with dancing. An example of this: the Paris opera in the 19th century would not accept a work for performance if it did not contain a major ballet. Verdi, an Italian composer, had to add ballets to all of his works to get them performed in Paris. The Germans have always sought to extract from both the Italian and French traditions, and go beyond both in an attempt to present more than just a story. In fact, one of the greatest German opera composers, Richard Wagner, chose legends or myths for most of his opera plots so that he could communicate ideas as well as just a story. 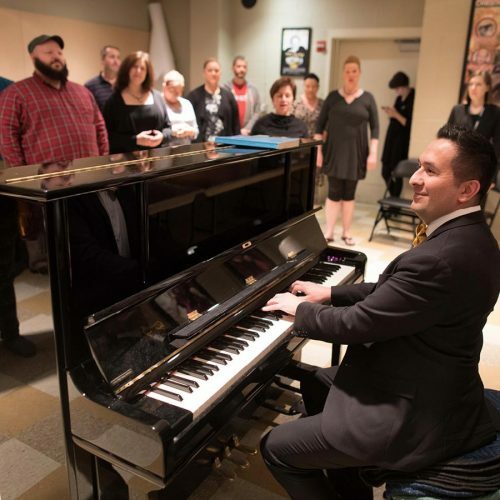 Young opera singers spend one year in residence at The Atlanta Opera, building their experience and training further. Studio Tour: Live performances and workshops that travel to your school. What are the Elements of Opera? Music moves the action of a story, expresses emotions and moods, and deepens our understanding of the characters. Orchestra: In most cases, operas are accompanied by a group of musicians. Led by a conductor, an orchestra is an ensemble that is comprised of string, woodwind, brass, and percussion instruments. Score: Musicians read from a score which is a notated piece of music showing each voice or instrumental part on its own staff. Overture: An overture is an orchestral piece that may be played at the very beginning of the opera before any action takes place on stage (not all operas have overtures). Musical themes: Musical themes are complete ideas that are crafted to be memorable to the listener. They are heard throughout operas and are associated with a particular character or characters, a situation , an idea, object, or emotion. Below are four types of musical forms composers use to help them describe how characters are feeling during the course of an opera. Recitative: Composed to sound like natural patterns of speech, a recitative is singing that has the rhythm of talking. It is used for conversation between characters or to move the plot of the story. Aria: A vocal solo expressing personal emotion or reflection. Ensemble: A piece that is sung by two or more characters at the same time (duet for two characters, trio for three characters, quartet for four characters, etc). 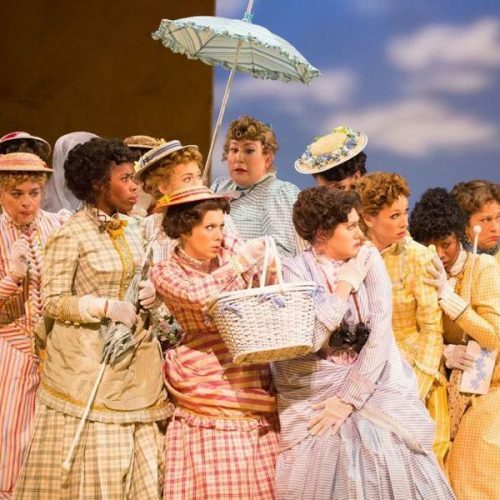 Different melodies are sung simultaneously by each character involved in the ensemble. All classical singers fall into one of the categories listed below. A singer cannot choose his/her voice-type – it is something they are born with. Composers usually assign a voice type to a character based on his/her personality or age. This is the highest female voice and has a range similar to a violin. In opera, the soprano most often plays the young girl or the heroine (sometimes called the Prima Donna), since a high bright voice traditionally suggests femininity, virtue and innocence. The normal range of a soprano is two octaves up from middle C, sometimes with extra top notes. Most women are sopranos. This is the lowest female voice and has a range similar to a clarinet. Contraltos usually sing the roles of older females or special character parts such as witches and old gypsies. The range is two octaves from F below middle C to the top line of the treble clef. A true contralto is very rare. This is the highest male voice, which was mainly used in very early opera and oratorio (a genre of classical vocal music similar to opera but generally based on a religious topic and accompanied by a choir). The voice of a countertenor sounds very much like a mezzo-soprano’s voice and they often sing the same repertoire. Like the contralto, true countertenors are very rare. This is usually the highest male voice in an opera. It is similar to a trumpet in range, tone, color, and acoustical ring. 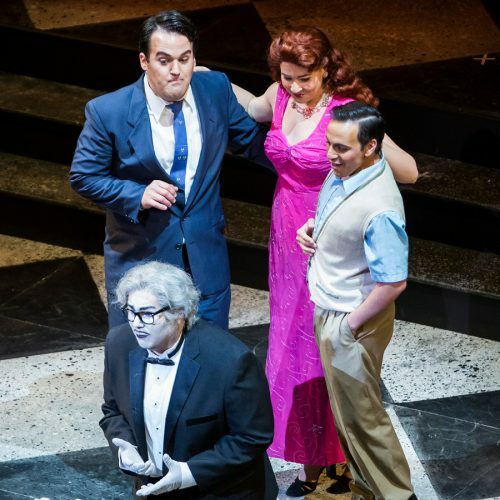 The tenor typically plays the hero or the love interest in an opera. This is the middle male voice and is close to a French horn in range and tone color. In opera buffa (comedic opera), the baritone is often the ring-leader of the comedy, but in opera seria (serious or tragic opera), he is usually the villain. This is the lowest male voice and is similar to a trombone or bassoon in range and color. Low voices usually suggest age and wisdom in serious opera. In comic opera they are generally used for old characters who are foolish or laughable. Principals: The primary roles of an opera. These may be heroes/heroines, villains or other strong characters. Principal roles are sung by the more experienced artists who have already made a name for themselves in smaller roles. Comprimarios: The secondary roles of an opera. Comprimario roles are often confidantes, maids, servants, messengers, or medical personnel. They are usually sung by younger or lesser known artists. 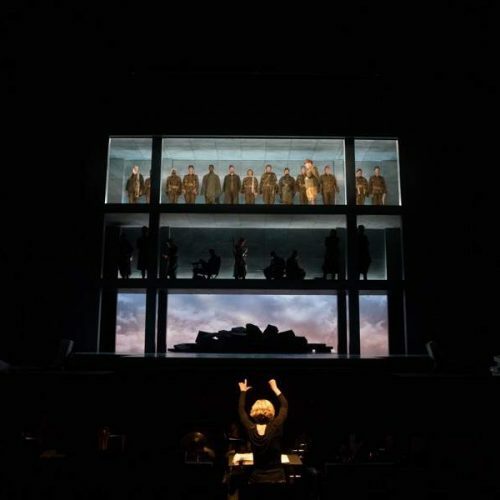 Similar to a play, opera tells a story that is divided into acts and scenes. Each scene is further divided into numbers, each representing a different musical form (i.e. aria, recit., chorus number, or ensemble). In contrast to plays, the text is written with the intention of being accompanied by music. Librettist: The artist who arranges the text of a story to fit the accompanying music. The spectacle of an opera encompasses sets, costumes, special effects, props and staging. These elements are combined to tell the story in a multi-dimensional manner. Set: The place where the action will occur on stage. Operas often have large, spectacular sets that reflect the time and place of the story being told. Costumes: The outfits worn by each actor to reflect the time and place of an opera as well as the personality of each character. Props: Items that may be carried onstage in an actor’s hands or that “dress” the set (such as furniture or decorative accessories). During the course of an opera, it is not uncommon to have a large number of people on stage. Many of these people will be chorus while the others will appear as supernumeraries or extras. Super/Supernumerary: A performer who appears in a non-singing role; a “super” might have a solo walk-on to deliver a message, or might be included as part of a large procession, for example. The stage director impacts how the action is conveyed by assigning various blocking. Blocking: The patterns of movement of the people onstage as the opera progresses. Stage Right/Stage Left: The division of the stage from the performer’s point of view; thus when a singer goes stage right, he moves to his/her right but to the audience’s left. Upstage/Downstage: The position on stage farthest or nearest the audience; because of the raked stage which was so prevalent in early opera houses, the farther “back” a signer went on the stage, the “higher” he seemed to become in stature, thus the distinction of being “up”-stage. Downstage, then, would be lower and closer to the audience. Audience members may shout this Italian word after an exciting aria, scene, act, or performance. It is pronounced “brah-voh”. A female performer would be accorded a “brava” (the feminine form of bravo). What are the Different Styles of Opera? This Italian phrase means “beautiful singing”. These operas grew from a style of singing emphasizing long phrases, breath control, and flexibility in singing both loudly and softly. Because the voice is considered the most expressive element, the words are often secondary. Gaetano Donizetti composed in this style. Comic opera, always sung in Italian. The jokesters in these operas are usually the working class, such as maids, peasants, or servants, who keep busy getting the best of their employers. Gioachino Rossini composed in this style. Serious opera. These stories are often tragic, and typically involve heroes and kings or ancient myths and gods. Some of Handel’s operas are in this style. Singspiel “Songplay” evolved in German speaking countries out of the comic opera tradition. It includes elements of comic opera, spoken dialogue interjected among the sung phrases, and, often, an exotic or fanciful theme. Mozart’s The Magic Flute is an example of this style. Spectacular opera. It is performed with elaborate sets and costumes. Many people are needed to make it happen. Grand opera involves royalty, heroism, an elaborate ballet scene, and is often long. Composer Giacomo Meyerbeer wrote opera in this style. A style of opera that is created by a single artist who writes both the text and the music to advance the drama. This style fuses many art forms, and makes each one as important as the others. Composer Richard Wagner defined this style. 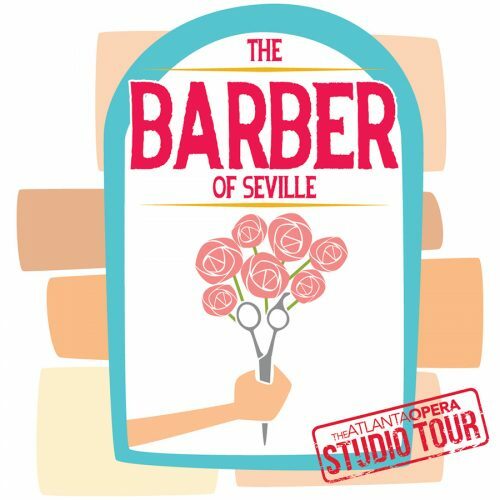 Each season, The Atlanta Opera presents four mainstage productions at the Cobb Energy Performing Arts Centre. The Atlanta Opera season runs similarly to an academic calendar, opening in the fall and closing in the spring. Each production is led by a director, and a conductor. The director is in charge of the staging for the production, and directs the acting of the singers. The conductor works closely with the singers and coach in rehearsals, and also prepares the orchestra. He or she conducts the orchestra in the pit and soloists and chorus on stage during performances. The coach and chorus master prepare and rehearse with the singers before they sing with the whole orchestra. The chorus begins rehearsing several months before the production. Most of The Atlanta Opera chorus members live in the Atlanta area and have other jobs in addition to performing with the Opera. The principal singers, director, and conductor, come from all over the world. They come to Atlanta about three weeks before the first performance to begin rehearsing. Most of the rehearsals are held in the rehearsal hall at The Atlanta Opera Center, and not the actual theatre. The conductor begins orchestra rehearsals about a week and half before opening night. They have four rehearsals with the conductor, and then the singers are added into the mix. The size of the orchestra will vary with each production, depending on what the composer has written for. Many of the orchestra members live in the metro Atlanta area and have other jobs playing or teaching, or something non-music related at all. Some of the orchestra members travel to Atlanta from other parts of the country specifically to play in the orchestra for our productions. The Atlanta Opera owns some sets, but many of the sets we use are rented from other opera companies. Other opera companies also rent the sets that we own. 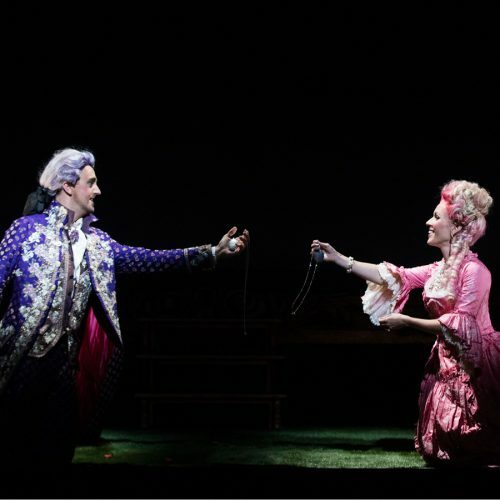 Many of the costumes that you see on stage have also been rented from other opera companies. The Atlanta Opera Costume Shop alters the costumes to fit our singers. Sometimes they do have to make costumes if there aren’t enough, or if there is nothing that fits, etc. Once the sets are in place, the cast begins rehearsing at the theatre. 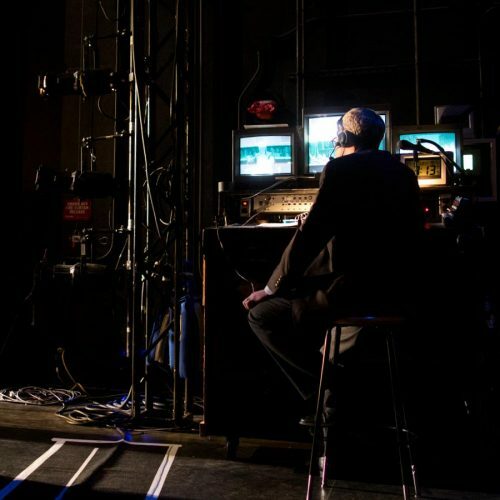 The Opera production staff works with staff at the theatre to get all of the lighting and technical aspects of the production together. 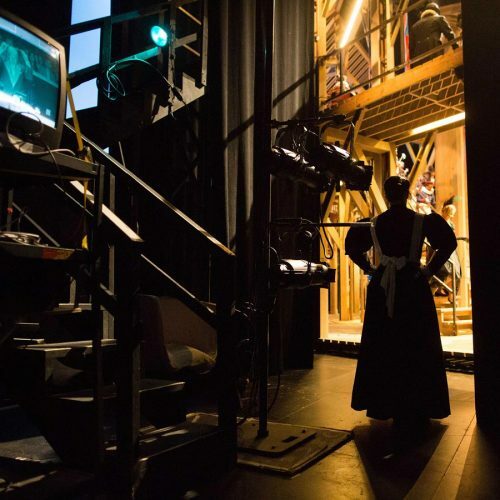 The production is performed four times over a period of a week and half before everything is broken down, the singers and artistic staff move on to their next job, and the sets and costumes move on to the next city.